Beautifully maintained 3 bedroom home with 2 bathrooms. Property and area has all the historic charm, with modern conveniences, and a move in ready home. Newer windows, new carpet, fresh interior paint and updates in kitchen. Large extended 2 car detached garage and private drive. Full, clean unfinished basement great for storage. 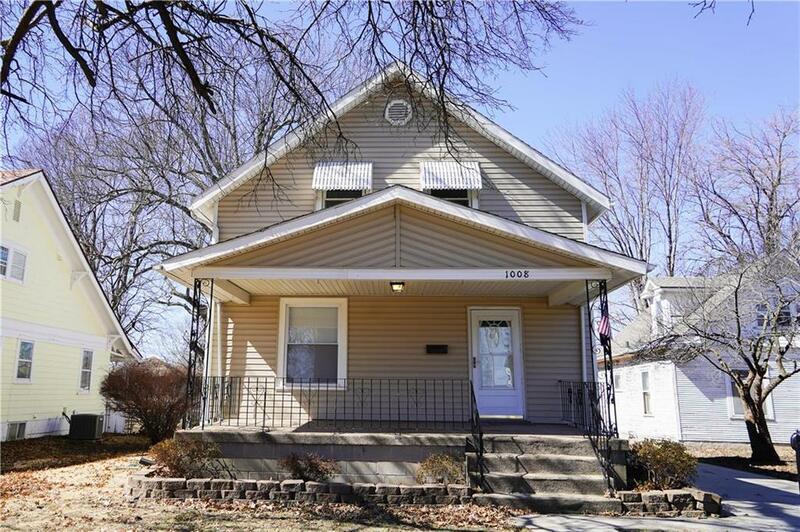 Tons of windows providing great natural light and a front porch begging for entertainment on cool evenings. Neighboring property undergoing renovation, has been delayed based on weather. Directions: From 23rd go to Liberty take left, take right on to Haliburton Ct, Left on Main St, Right on South St, and right on Noland Rd. 23rd and Noland.